A common brand name of the generic drug bupropion, Wellbutrin is a mild psychostimulant that works within the brain to improve chemical and hormonal imbalances. Unlike SSRI antidepressants that alter serotonin production, bupropion is a dopamine and norepinephrine reuptake inhibitor and releaser with the ability to treat a variety of conditions. In 1985, the FDA originally approved bupropion for use as an antidepressant. However, later studies found this drug to be effective as part of smoking cessation programs. Bupropion may be used to help reduce cravings and other withdrawal symptoms due to smoking. Zyban is the brand of bupropion specifically prescribed to help people with smoking problems. Bupropion is available in its generic form as well as a brand name drug. 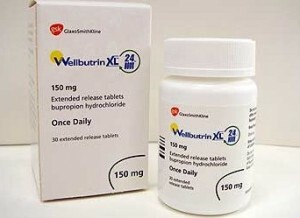 The brand Wellbutrin is manufactured and marketed by pharmaceutical company GlaxoSmithKline. In brand name forms, bupropion comes as Wellbutrin tablets (75 mg, 100mg, and 150 mg) that may be taken up to 4 times per day and sustained-release tablets (Wellbutrin SR; Zyban 100 mg, 150 mg, and 200 mg) or extended-release tablets (Wellbutrin XL; Aplenzin 150 mg and 300 mg). Wellbutrin is often prescribed as a supplement to SSRIs in instances of hard to treat or resistant depression, but it is an effective treatment for depression on its own. Most SSRIs have a slight advantage over this medication in the treatment of high anxiety symptoms, but bupropion medications are more successful in the treatment of sleepiness and fatigue in depression. Wellbutrin XL is also commonly used to treat seasonal affective disorder which is characterized by episodes of depression during fall and winter. It may also be prescribed as a smoking cessation aid, although the Zyban brand is most commonly used for this purpose. Wellbutrin is also sometimes prescribed “off-label” to manage symptoms of depression in patients being treated for bipolar disorder particularly manic depressive disorder and to treat attention deficit hyperactivity disorder (ADHD). Discuss with your healthcare provider the possible risks of taking bupropion for your condition. Wellbutrin may also be prescribed for other purposes not discussed in this medication guide. As mentioned above, Wellbutrin affects certain chemicals in the brain (called neurotransmitters) which nerve cells use to transmit messages from one another. It is suggested that depression is caused by an imbalance in these brain chemicals. Brain cells have the ability recycle released neurotransmitters through the process called reuptake, and this is where bupropion works. Wellbutrin interferes with the reuptake of neurotransmitters dopamine, norepinephrine, and serotonin, causing an increase in their availability in the brain. The increased amount of neurotransmitter in the brain corrects the imbalance and reduces depression symptoms. Wellbutrin is said to be unique and unlike other antidepressants because it primarily affects dopamine. Other antidepressants such as SSRIs (Paxil, Prozac and Zoloft) and tricyclic antidepressants (Elavil, Tofranil, and Norpramin) do not share this characteristic. Wellbutrin is taken by mouth. Wellbutrin (regular tablet) is taken three to four times a day, at least 6 hours between each dose. Wellbutrin SR (sustained-release tablet) is usually taken two times a day, at least 8 hours between each dose. Wellbutrin XL (extended-release tablet) is usually taken once a day in the morning. When used for treatment of seasonal affective disorder, Wellbutrin is usually taken once daily in the morning as soon as fall starts, all through winter, and until early spring. Normally, Wellbutrin dosage is gradually tapered off for 2 weeks before the medication is discontinued. If this medication upsets the stomach, it may be taken with food. As much as possible, take this drug around the same time of the day to achieve the desired blood levels. Read your prescription label carefully and take Wellbutrin exactly as instructed. Do not take more or less than the recommended amount or for longer than the prescribed treatment duration. The sustain-release tablet and extended-release tablet should be swallowed whole. Do not crush, chew, split or remove the cover. Your healthcare provider may initially give you a lower dose of bupropion and then gradually adjusted to the desired maintenance dose. It may take up to 4 weeks or longer before you get the full benefit of Wellbutrin. Continue taking this medication even if you feel better. Never discontinue treatment without consulting your healthcare provider. Normally, dose is gradually reduced before discontinuing treatment. Wellbutrin, like other antidepressant medications, may increase suicidal intention or behaviors, especially among younger people and at initiation of treatment. Depression and other serious psychological conditions are the major causes of suicidal intentions and behaviors. People being treated for bipolar disorder or who have family history of this condition have higher chances of experiencing suicidal thoughts. People taking Wellbutrin should be closely monitored for worsening suicidal intentions. Contact a healthcare provider if you notice sudden changes in mood, feelings, thoughts, or behavior. Report to your healthcare provider any new signs or worsening symptoms such as anxiety, agitation, depression, panic attacks, insomnia, restlessness, irritability, and suicidal thinking or behavior. This is especially important when the drug is initiated or during dose adjustment. Wellbutrin may increase occurrence of unusual behaviors or thoughts such as confusion, delusions, hallucinations, or paranoia. Contact your healthcare provider if you develop any of these side effects. Wellbutrin should not be used along with other bupropion-containing drugs, such as Zyban, even when used for other purpose. Wellbutrin may increase the risk of seizure. Inform your healthcare provider if you have history of seizures. 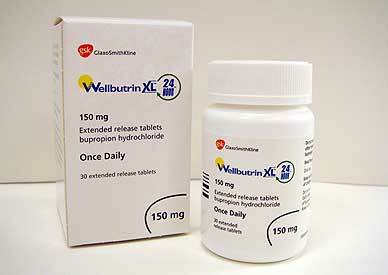 Wellbutrin may cause changes in blood pressure (high blood pressure or hypertension). Regularly check your blood pressure, especially for people with hypertension. Watch out for signs of allergic reaction. Contact your healthcare provider right away if you develop allergic symptoms such as itching, rash, hives, or shortness of breath.